When it comes to remodeling, flooring plays a major role in the outcome of the project. Dingy, dirty carpet or dinged up hardwood can paint a grim picture of a home. 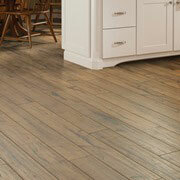 When you need wholesale flooring for a home remodeling project, visit ProSource® of Valley Forge. At ProSource, we specialize in helping trade pros and their homeowner clients find the right products for their remodeling projects. From stunning hardwood to cozy carpet to fashionable tile and more, our showroom has exactly what you need at prices you’ll love. Looking to create a cozy and quiet room? 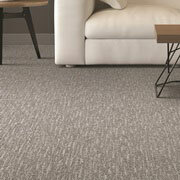 Carpet allows for excellent insulation and provides a soft place for your feet to land. We can guide you through the variety of carpet styles available on the market today. Hardwood flooring offers a natural beauty to any home. Bring the outdoors inside when you opt for a classic solid or engineered hardwood. 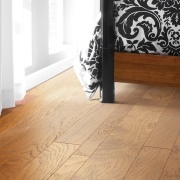 For those who are environmentally conscientious, shop our eco-friendly wood flooring options. 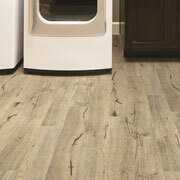 When you need a large amount of flooring overhauled but are operating on a tight budget, laminate is a good way to go. Not only is laminate affordable and durable, but it also comes in a wide array of styles that mimic classic flooring types, such as tile, hardwood, and stone. Nothing beats the cool feel of tile on a warm summer day. Check out the many styles and materials (think: ceramic, porcelain, glass and stone) of tile flooring available in our showroom today. Forget the vinyl of the past. Today’s vinyl offers unsurpassed quality and beauty. 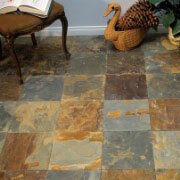 This resilient flooring material is perfect for an active home with kids, pets, and busy feet.